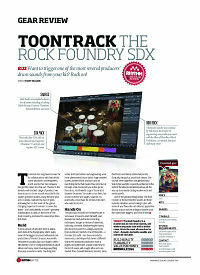 Toontrack has long been known for its collaborations with household name producers and engineers, and it seems that the company has got this down to a fi ne art. Thanks to the already well-stocked range of products we have access to drum sounds recorded in the world’s greatest studios, using the best gear and, crucially, captured by ears of gold. 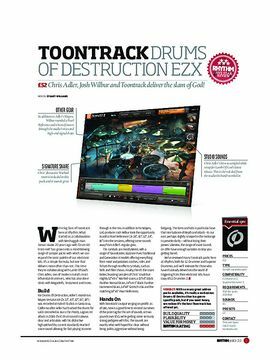 Following hot on the heels of the gamechanging Superior Drummer 3 comes the latest – and undoubtedly to some – greatest collaboration to date, in the form of The Rock Foundry, produced by none other than Bob Rock. ID: 426470 © 1996–2019 Thomann GmbH Thomann loves you, because you rock!